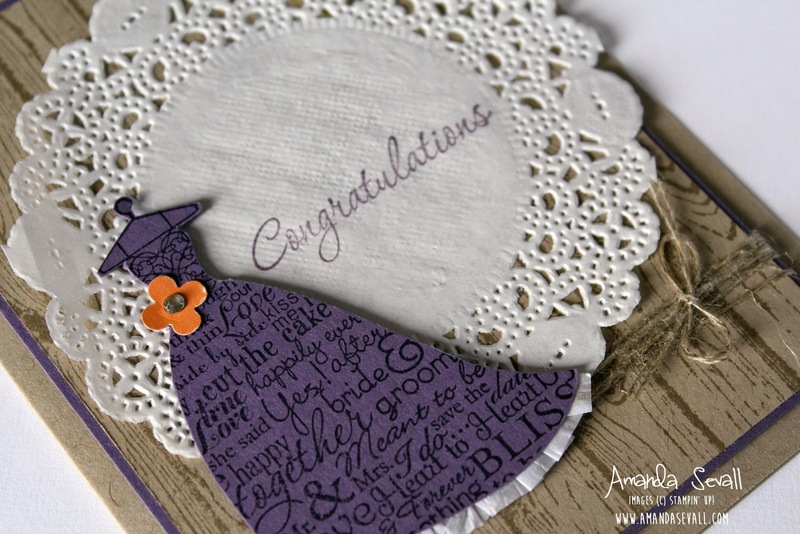 Her wedding is in June on a ranch... rustic, with the colors purple and orange. So I wanted to make a card that reflected that. I even added some of the retired Waffle Paper to the bottom of the dress to give the dress a little something extra! When I was figuring out the present for the bridal shower, my friend Tori and I were discussing our "go-to" gifts for bridal showers and weddings. It's been quite a long time since I've bought gifts for one and it was an interesting conversation too! Tori's go-to wedding gift is a crystal vase for flowers... she didn't necessarily have a gift for bridal showers. What do you usually give as a bridal shower gift? I love her purple/orange color scheme! Similar to mine, but with hot pink in the mix too. The card is super cool and shows how great it is to make your own cards. 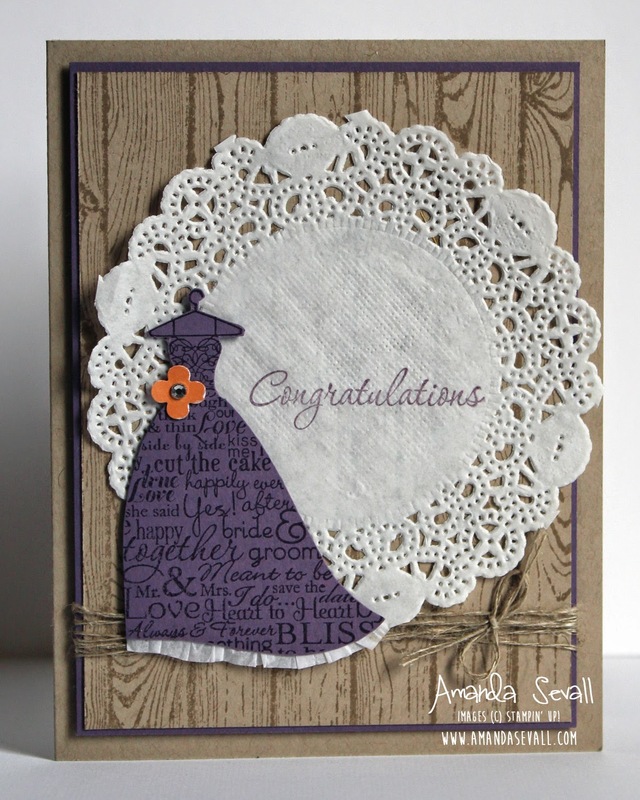 No one who is buying a card is going to be able to find one in the bride's unusual (but fabulous) color scheme.